If you ask the majority of people what their thoughts are on hospital food, the overall opinion is probably not favorable. In fact, you may have noticed that most of your patients’ family members leave for their meals or resort to feeding change into a vending machine to tide themselves over until they get home. As a business, you want to keep your patients' family members eating on-campus, and as a care facility, you want to provide your patients with high-quality dining options. Easier said than done, right? Don’t worry, we have you covered. This article will provide you with tips you can use to take your facility's foodservice program to the next level to satisfy the dining needs of both your patients and their families. Before that bite of food reaches your mouth, you have already tasted it with your eyes. This may seem like a crazy notion, but it is backed by scientific evidence. Just ask the staff from Jackson County Memorial Hospital in Atlus, Oklahoma. This small-town facility was able to increase their Press Ganey score from 38% to 93% in part by making modifications to how they plated their patients’ meals. Jackson County Memorial Hospital also found that their improved plating techniques resulted in increased food consumption. As you know, increased food consumption is vital when considering the heightened risk of dehydration and malnutrition among the elderly population at your facility. While the health and well-being of your patients should be your facility’s top concern, it’s essential to recognize that your patients are not the only people affected by your facility's menu. 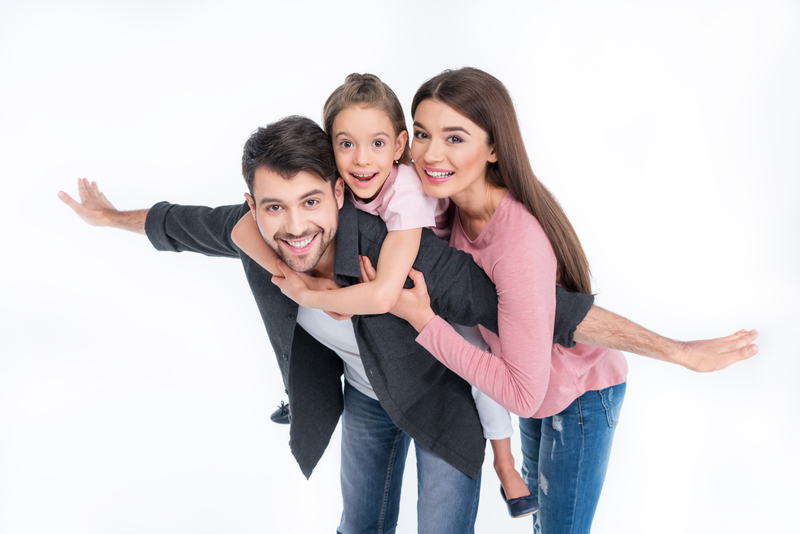 The preferences of your patients' families should also be taken into consideration if you want to entice them to stay on-campus for their meals. 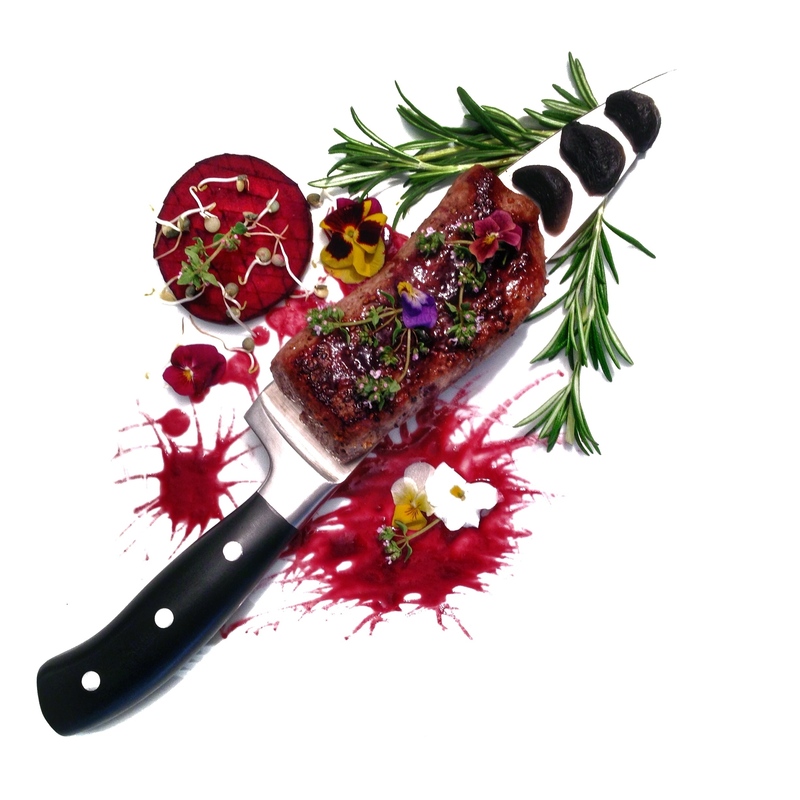 So how do you go about improving your plating techniques to satisfy the palates of your patients and their families? We've got a couple of suggestions. Let's face it; you don't like to eat the same thing every day. Your patients feel the same way! Even one's favorite meal can seem like torture to consume by day four. To keep your patients satisfied it’s vital that you change up the menu daily. The same goes for your facility's public cafeteria. Make sure to have a variety of menu options available every day, and switch the menu up throughout the week for families who have a loved one with an extended stay. According to research, the color of a plate influences how your patients perceive and react to a meal. This is especially true for your memory care patients, who rely on different colors to help them distinguish hot food from cold food. In addition, colored plates can help light-colored food stand out, helping to bring color to an otherwise boring dish. 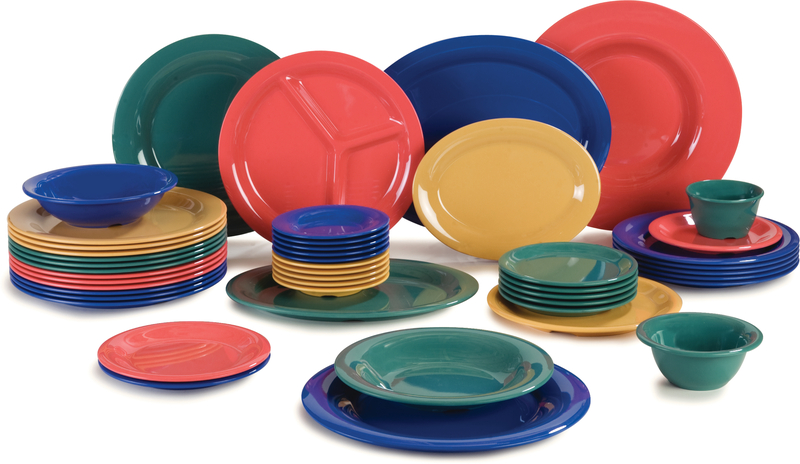 Carlisle offers an abundance of colored foodservice dinnerware options that can help you improve your plating techniques. In addition to colored dinnerware, Tabletop Analyst, Carol Klien, recommends that facilities utilize rimmed plates to help patients and cafeteria dinners scoop up food with ease. 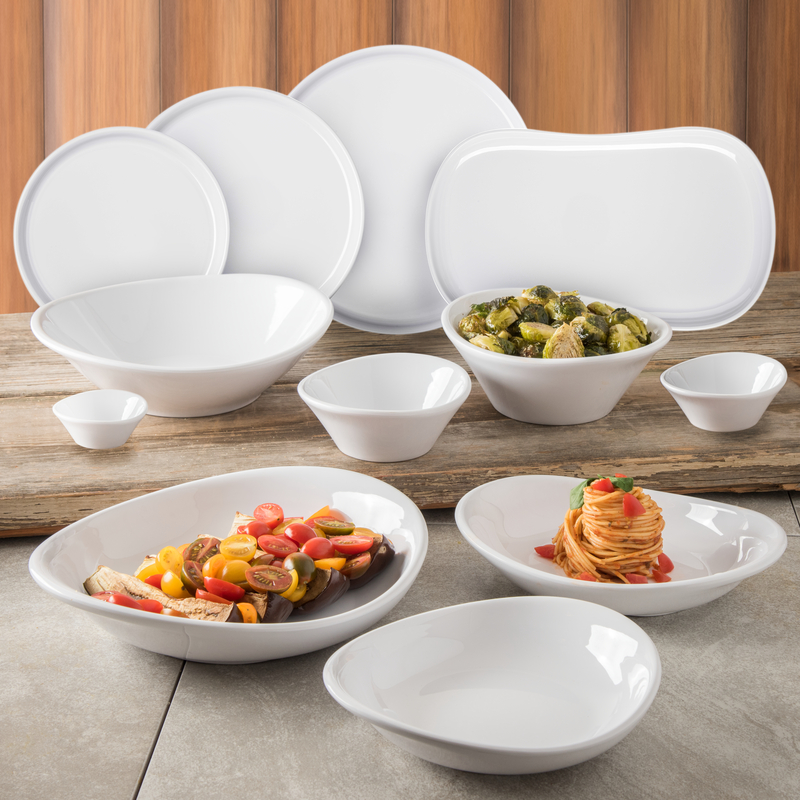 The Square Dinnerware Line By Carlisle: These heavy-duty foodservice dinnerware pieces are made from break-resistant melamine and are 100% dishwasher safe. 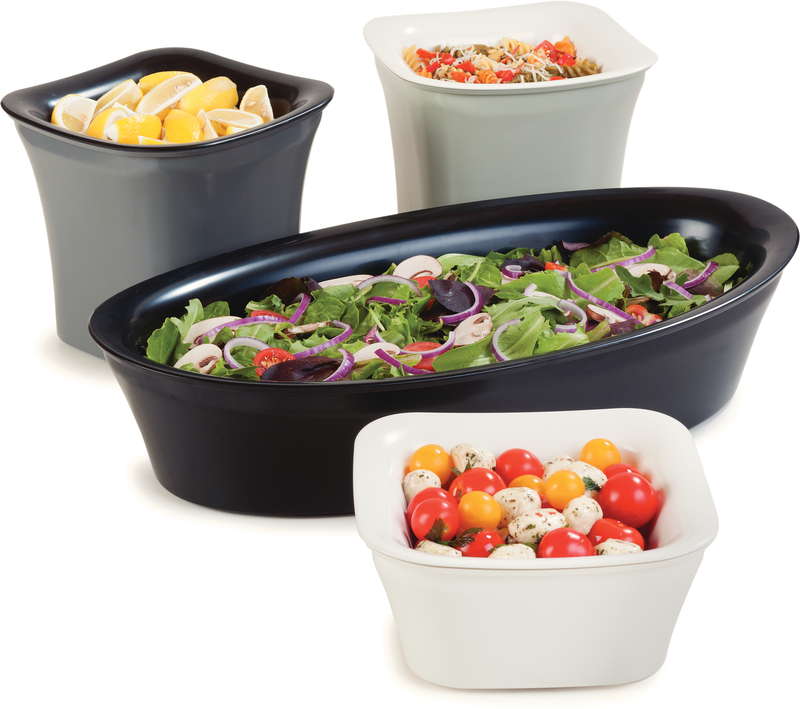 This line of dinnerware comes in five sizes and can hold anything from salads and appetizers to buffet style presentations. They are sure to enhance the appearance of any meal. 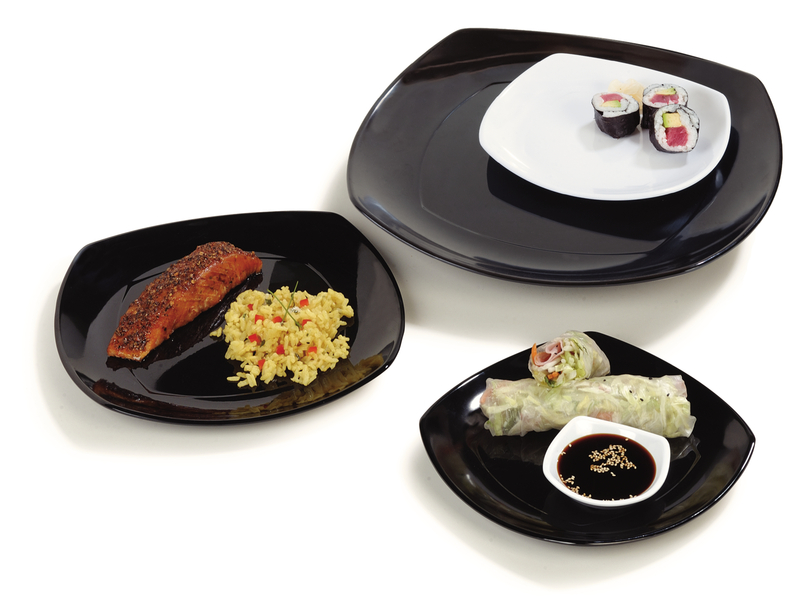 Carlisle Stadia Dinnerware Collection: The Stadia dinnerware collection is also made from break-resistant melamine. The clean lines and subtle organic shapes will improve the look and feel of your tabletops by providing a touch of elegance. Grove Dinnerware Collection: Carlisle’s Grove dinnerware collection features classic shapes and unique textures that are sure to turn heads. This dinnerware line can spice up any dish and add a touch of personality to any meal. Ensuring that the food you serve is delivered at the right temperature is critical to the success of your facility’s foodservice program. Afterall, what good does expensive dinnerware do if the food served on it is cold and unenjoyable? If you serve cold food, your patients and their family members will remember. Keep in mind; family members have options when it comes to dining. If you want to entice them to stay on-campus for their meals, it starts with ensuring all food is delivered at the appropriate temperature. Serving hot meals is also critical to the health of your patients. Research has shown that when food is served at the appropriate temperature, it results in higher food intake among patients. 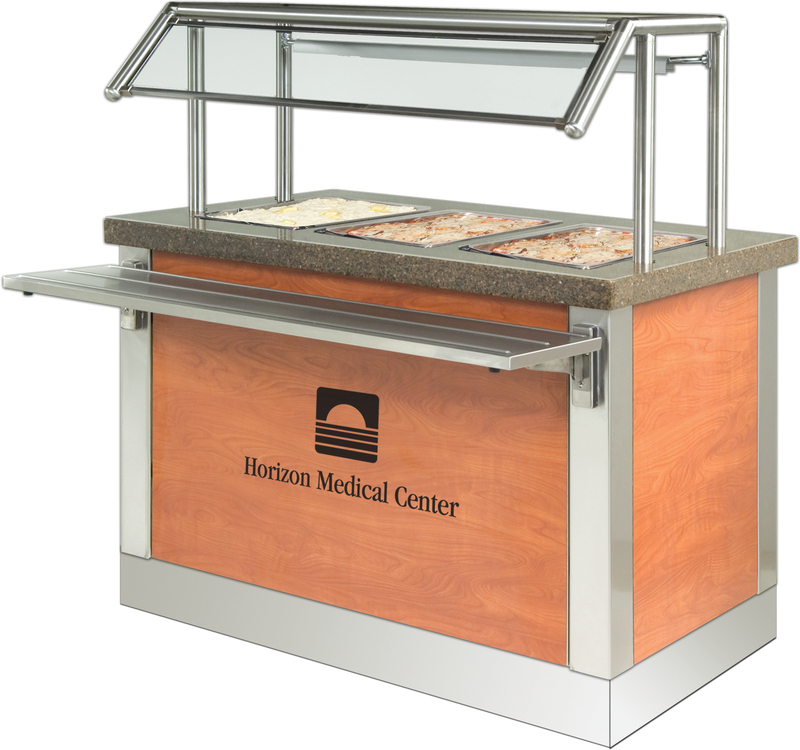 To help you satisfy your patients’ and their family members, we suggest investing in a modular serving counter solution that will keep hot food on your buffet line hot and cold food cold. To ensure your patient's meals, and meals delivered via room service remain at the right temperature, we suggest utilizing a food thermometer to check temperatures or investing in an induction heating system. Item placement is another factor that can affect how a patient and their family members perceive a meal. For instance, since the majority of people are right-handed, you should place glasses and mugs on the lower right-side trays. You should also place utensils towards the bottom right of each tray so diners can easily reach them. Not scattering dinnerware about the tray will help elderly patients avoid spills and improve the overall appearance of your meals. The sad truth is, most patients’ families would prefer to eat food out a vending machine than eat prepared food from your facility’s cafeteria. We’ve got good news! You can change this by providing fresh food options. 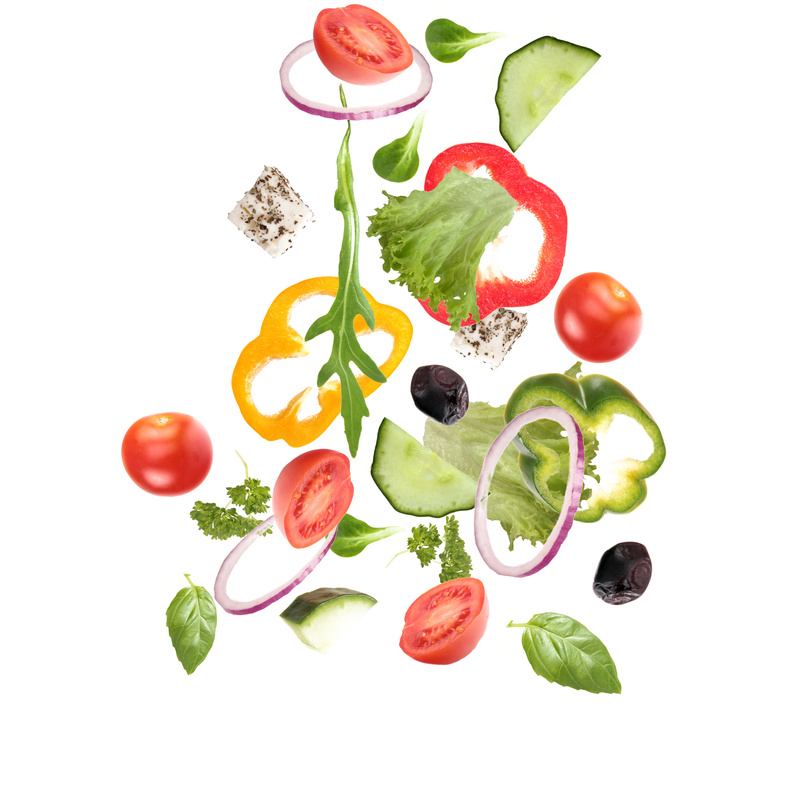 While it’s no secret that fresh food costs more than canned or frozen food, piling your menu full of fresh food will attract more diners to your cafeteria and result in decreased food waste. 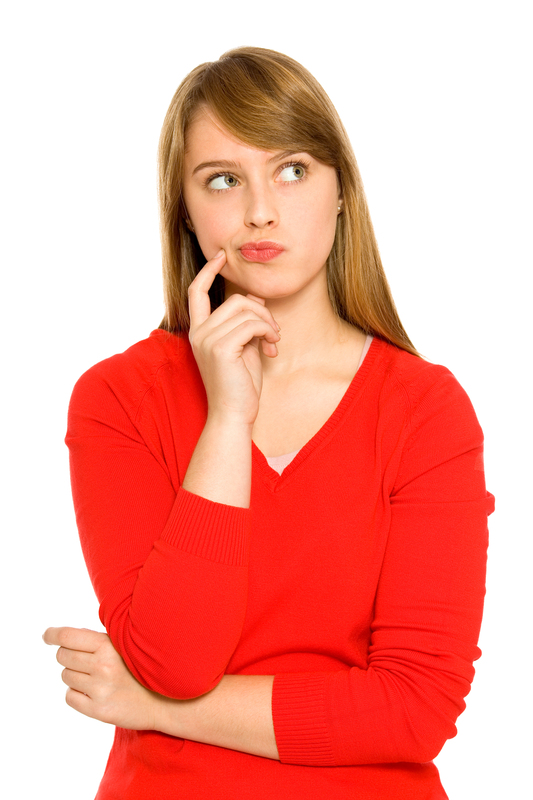 As a rule of thumb, try to stay away from overly processed and bland menu items when possible. Your patients and their families will thank you. Having the right foodservice drinkware is equally as important as having the right dinnerware. While you want your drinkware to look elegant, you do not want it to be difficult handle. Your facility’s drinkware should be lightweight and hard to break. Carlisle offers an abundance of elegant, and break-resistant drinkware that can help you bring your foodservice program to the next level. 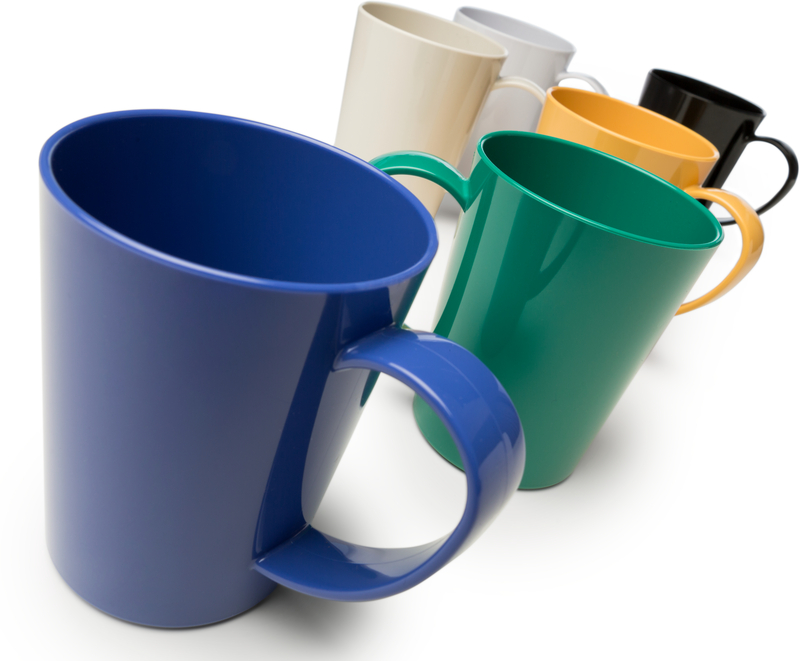 Carlisle Mugs: These foodservice coffee mugs are constructed using break-free, BPA-free Tritan, and are designed with a large handle to allow for comfortable holding. Carlisle mugs are safe for temperatures up to 190 degrees Fahrenheit and are dishwasher safe. They come in six colors, but custom imprinting is also available by contacting a trusted Carlisle Sales Representative. Astaire Stemware: If your facility provides its residents with happy hour, the Astaire Stemware collection by Carlisle is an ideal solution to help you add elegance to your drinkware collection. The Astaire Stemware collection provides a sleek and contemporary design that resembles real glass. Each piece of drinkware is crafted from shatterproof polycarbonate and is dishwasher safe. 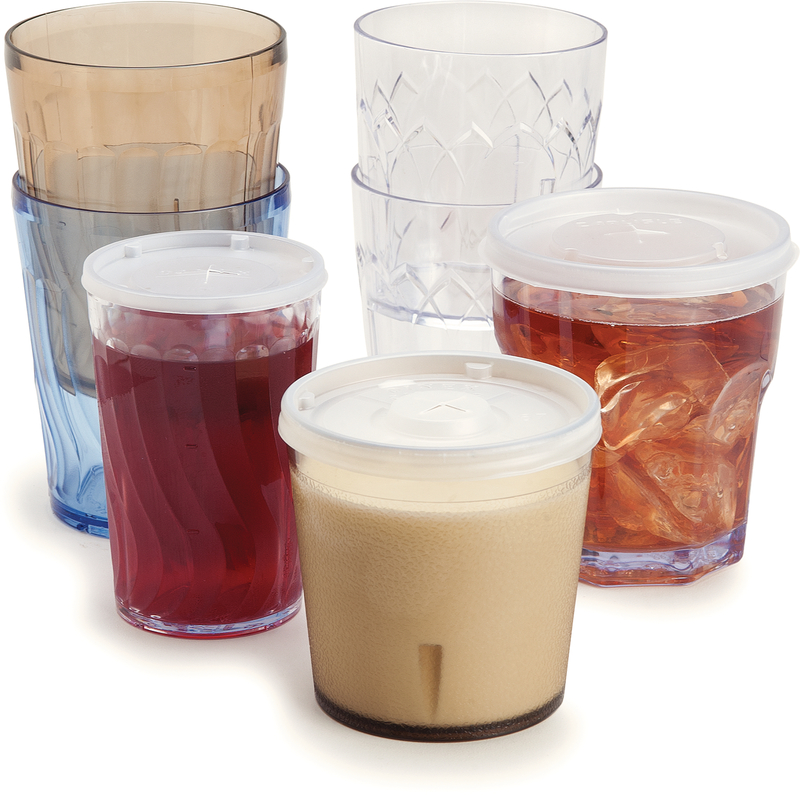 Stackable Tumblers: Carlisle is the industry leader in durable SAN tumblers. We offer a variety of sizes, finishes, and provide opportunities for facilities to custom imprint their logos. When Jackson Memorial Hospital decided to transform their foodservice program, they knew that they were going to have to make significant changes to ensure that the food they served came out at the right temperature every time. We have already covered the importance of ensuring that hot food arrives hot, but ensuring that cold food remains cold is also of utmost importance. An excellent tool to help you keep cold food cold is Carlisle’s Designer Coldmaster® line of food bins. While many cold food storage bins make for quite an eyesore, the Designer Coldmaster® line will provide your facility with an attractive way to keep your foods cold and appetizing. The Designer Coldmaster® bins can maintain temperatures under 40 degrees Fahrenheit for up to four hours without the mess of an ice bath. The sleek and modern design of these food storage bins makes them the perfect fit for a buffet, salad bar, or tabletop presentation. As we have alluded to, presentation is everything when it comes to creating an appealing foodservice program. If you are serious about enticing your patient’s families to stay on campus to eat, you need to invest in elegant displayware. From our scalloped platters and our Terra™ displayware, to our Scoop bowls and cake covers, we have the products you need to boost the appearance of your foodservice offerings. Your trays should be color coordinated from top to bottom. This includes ensuring your plate covers, plate bottoms, mugs and bowls, trays, and tray liners match. Elegant tablecloths and cloth napkins are another excellent way to boost the appeal of your cafeteria. 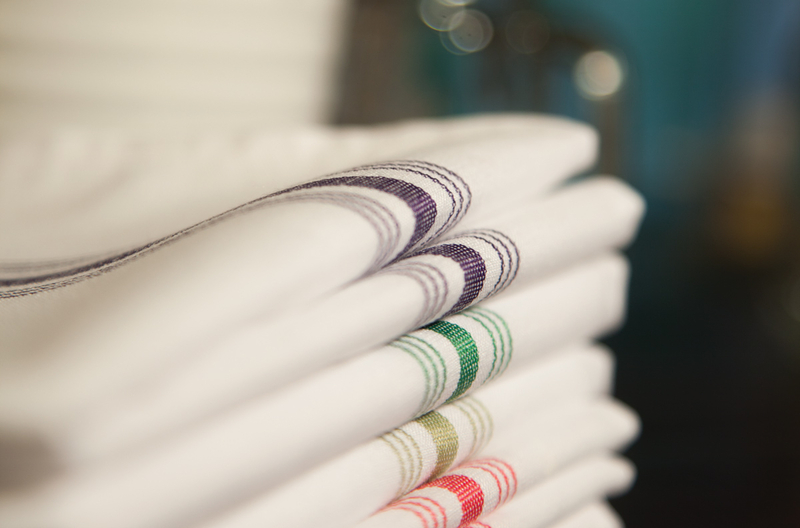 We have an extensive collection of quality Marko tablecloths and bistro napkins that are sure to make your patients feel as though they are dining at a five-star restaurant. Most people are not aware, but scientific evidence has proven that thoughtfully plated food can enhance appetites and promote healing and better nutrition. According to Gordon Foods, research suggests that enhanced plate presentation can increase food intake and even lead to improved care outcomes. Thus, improving your plate presentation should be a top concern for your healthcare facility. Take ordinary proteins and vegetables and bring them to life by placing them close together in the center of the plate. This will provide a sense of unity. Consider including a drizzle of sauce or olive oil at the edge of your patients' plates for some added flair and flavor. 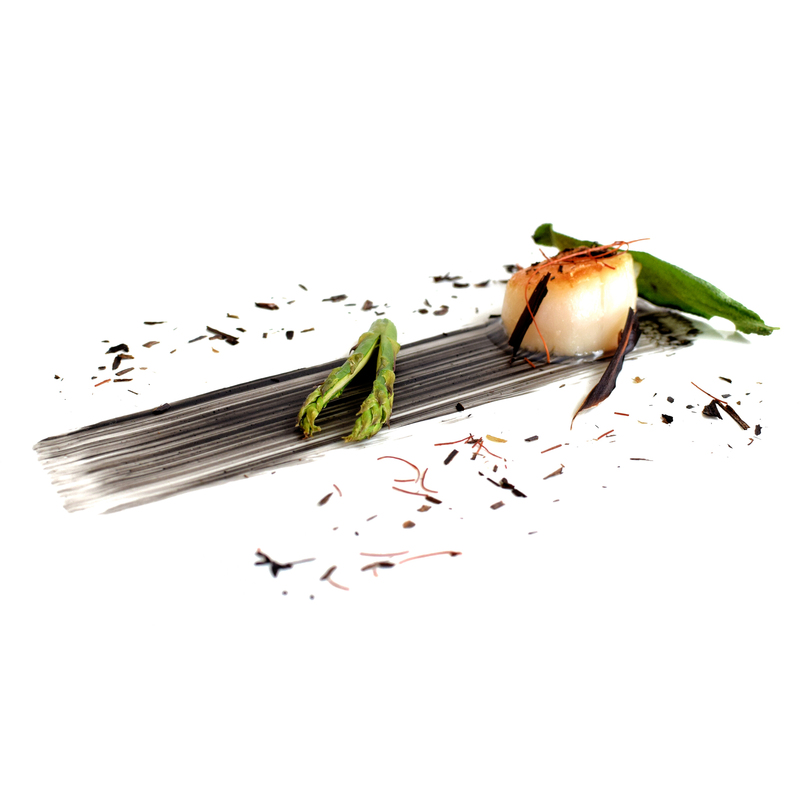 Utilize garnishes to bring boring dishes to life. For instance, consider topping oatmeal with chopped nuts, cinnamon, or fresh fruit. 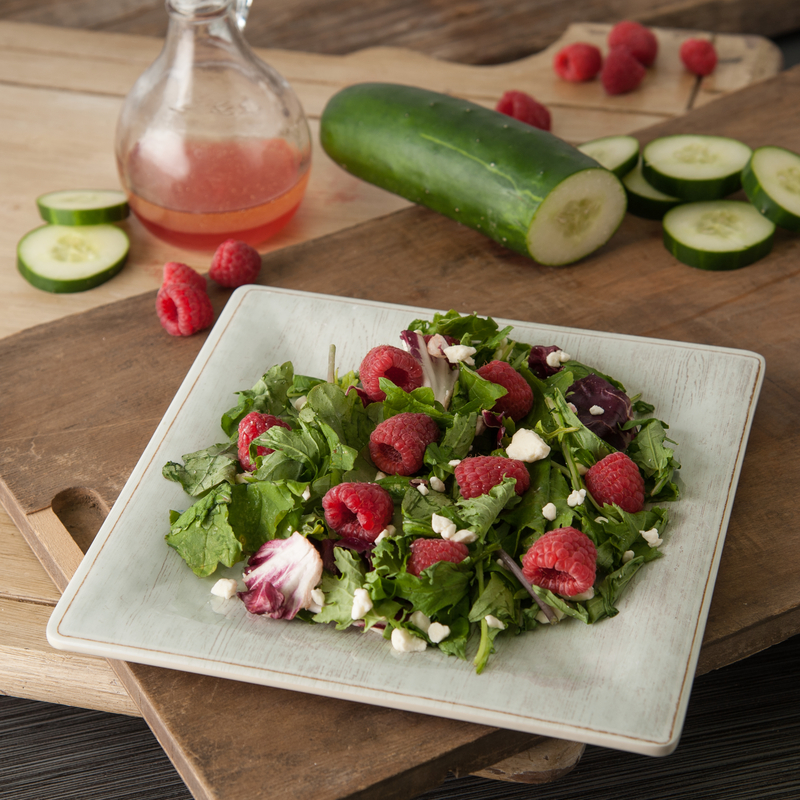 For dinnertime, consider adding sliced fruit, diced herbs, or julienned vegetables to add some flare. Attempt to cut deserts into various shapes and sizes, and add a little something extra to the top such as a dusting of sugar or some fruit zest. Seeing their child in excruciating pain is every parent's worse nightmare. Unfortunately, this is a reality for many parents all across the United States. While you may not be able to take away their child’s pain completely, there are a few things you can do to help make a parent’s stay at your hospital a bit more comfortable. 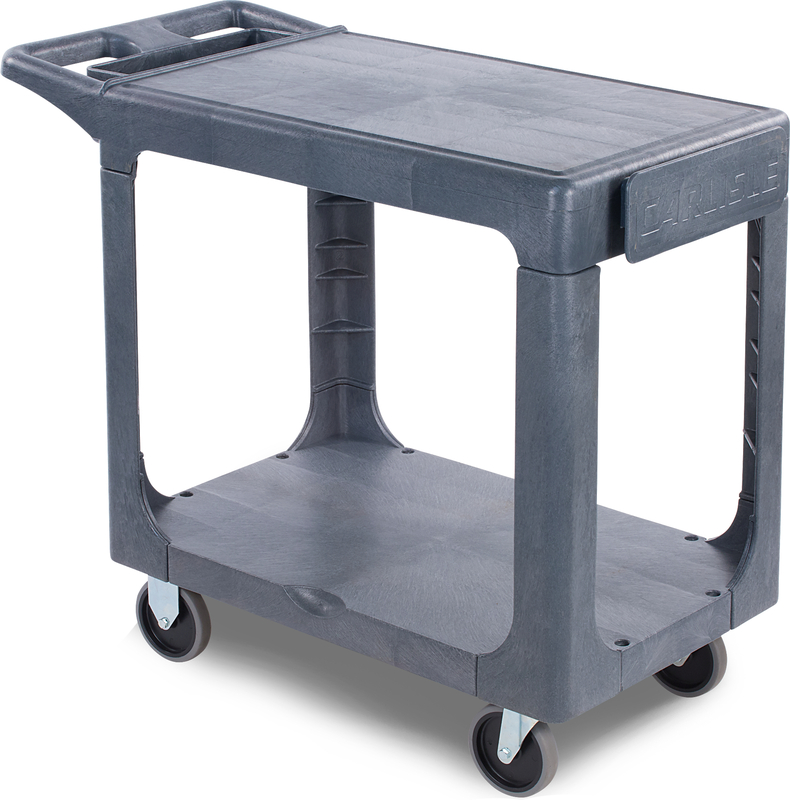 Carlisle Utility Carts: This cart is perfect for transporting snack foods to your patient's families. It can transport up to 500 pounds and is constructed of durable polypropylene foam. 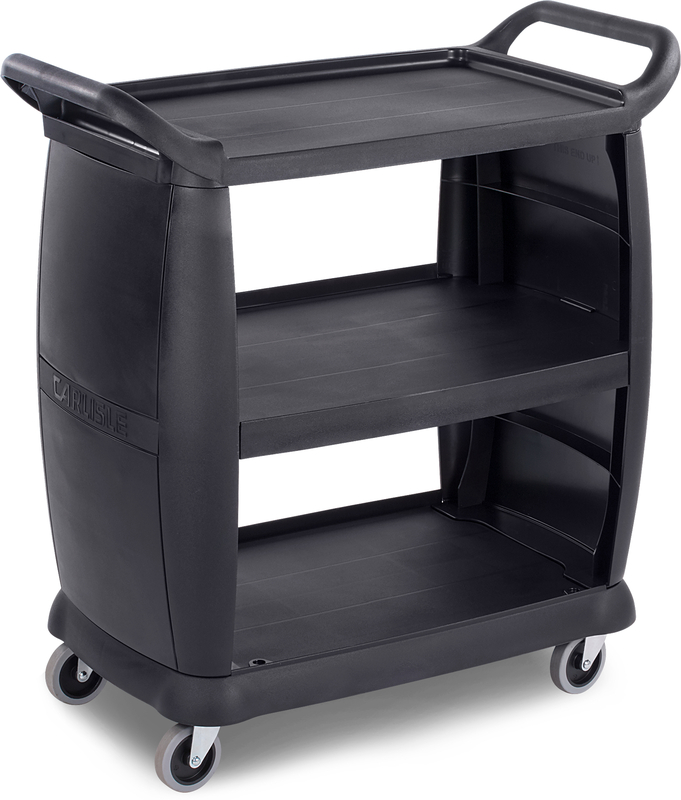 Durable Polypropylene Carts: Carlisle offers a variety of high-quality transport carts that are perfect for displaying a wide array of snack items. Our carts have add-on items, such as accessory bins, that are perfect for cash and carry purposes. As we alluded to earlier, serving food at the right temperatures should be a top focus for all foodservice workers. Remember, your patients' family members are going through an extremely difficult time. Most of their day is spent at the bedside of their child or speaking with doctors about the severity of their child's condition. When dinnertime rolls around, they deserve a delicious hot meal if their appetite permits. As a foodservice professional, you want to have confidence that the food you are serving can be the single bright point of their day. As such, you will need to have the right equipment at your disposal such as the TQ Supreme or the Dinex MealtimeXpress Cart. If there’s one thing you know by working in the healthcare foodservice business, it’s that meals take place at all hours of the day and night. 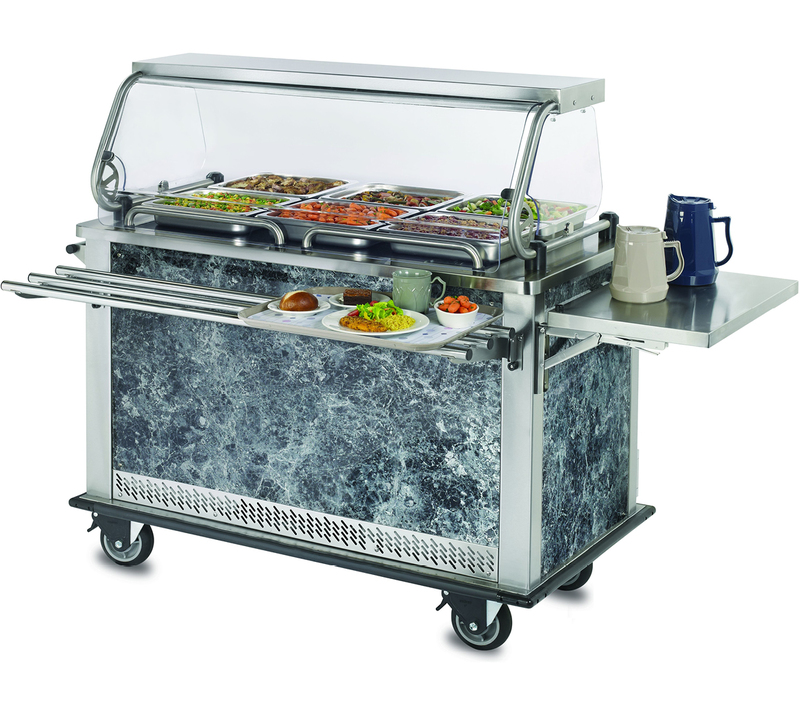 The TQ Supreme foodservice cart is the perfect cart for delivering hot meals at odd hours. 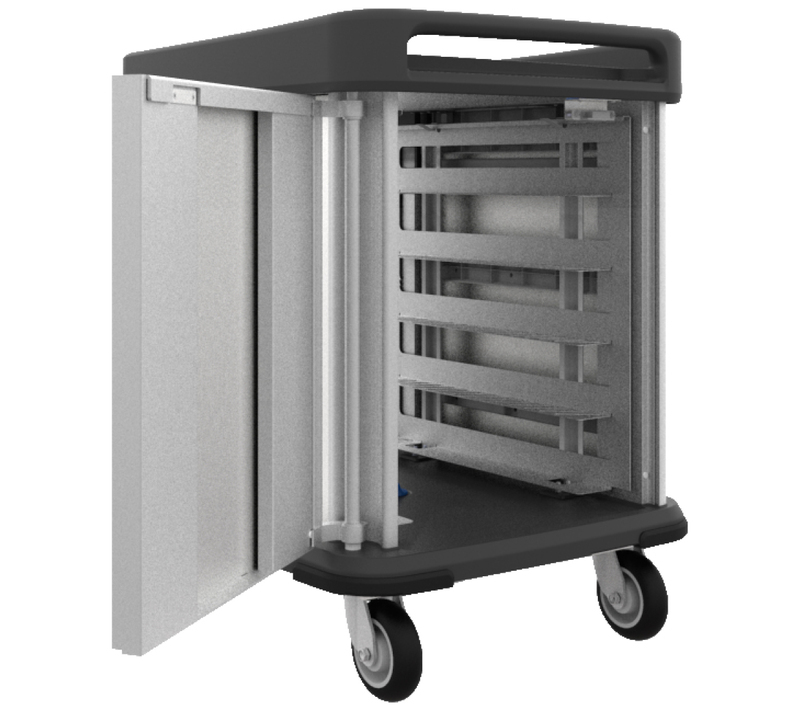 This cart is quieter, lighter, and more compact than other carts on the market, and provides a sleek design that is sure to enhance your hospital’s foodservice program. The MealtimeXpress satellite food cart is the perfect solution to help you deliver top-of-the-line meals to your patient’s and their family members. This cart comes equipped with two hot compartments, or one hot and one cold compartment, to help you deliver food at the right temperature every time. The MealtimeXpress cart is a must-have food delivery cart for any children’s hospital or long-term care facility. Investing in bereavement carts to deliver snacks to stressed family members. Investing in foodservice carts that will help you deliver food to family members quickly, quietly, and at the correct temperature. There’s no way around it. Revamping your foodservice program will require a substantial amount of work, money, and thought. However, the payoff for your facility, as well as your patients and their families cannot be ignored. 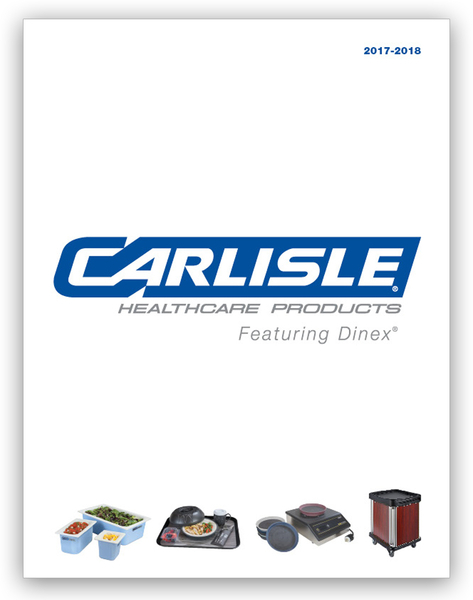 Carlisle offers top-of-the-line healthcare foodservice equipment that can make transforming your facility’s foodservice program much easier. Contact us today to get in contact with a trusted Carlisle Sales Representative. Our sales representatives are highly-trained, and well-equipped to help you determine the tools and products that are necessary to help you transform your foodservice program from bland to extraordinary.